There’s a lot of of information floating around about the Heartbleed security flaw. 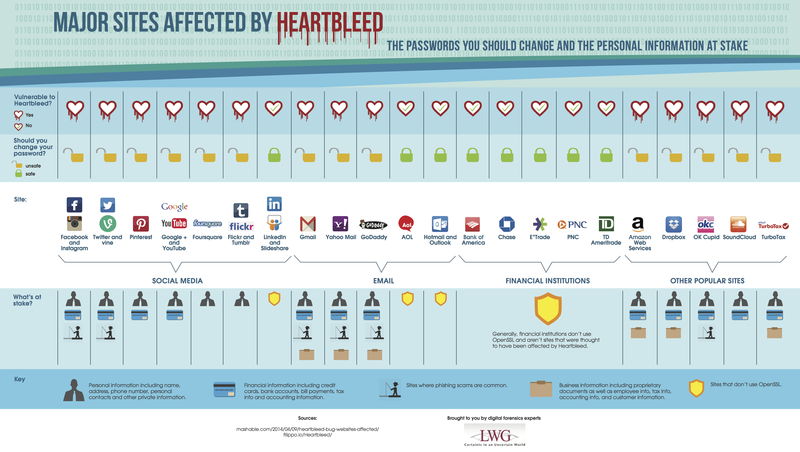 We came across a great infographic from LWG Consulting that helps to simplify those sites most affected and what information is vulnerable. The list of sites includes many of the most popular social media sites and email services that many of us use daily, so to be safe it is highly advised to update your passwords. Create a password that has eight or more characters. The longer the password the more secure. Create a password that is random, but easy to remember. 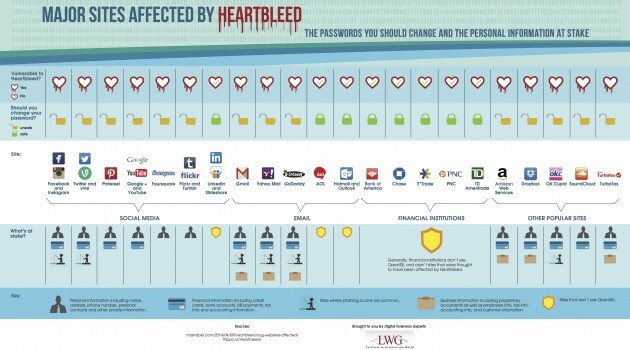 To learn more about how Heartbleed works, check out PC Mag’s article: Heartbleed: How It Works.